The Amazon Dash buttons are interesting little creatures. 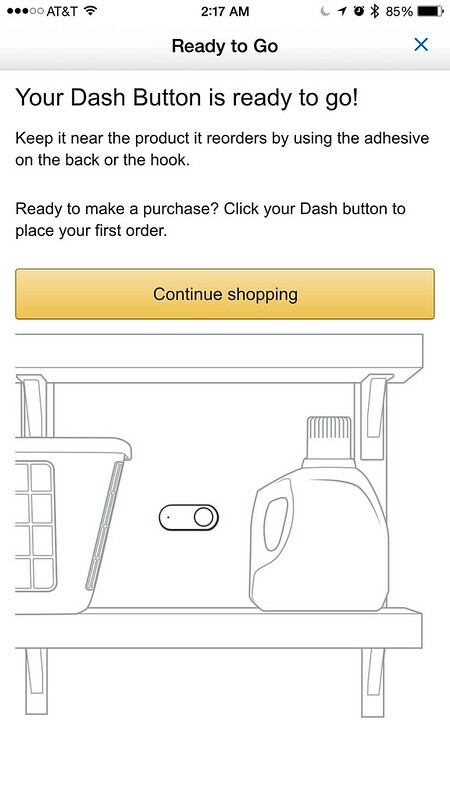 You can order them directly from Amazon.com, and depending on what model you get, you can order your favorite pantry-or-cleaning item with just the touch of a button. Setup is easy. 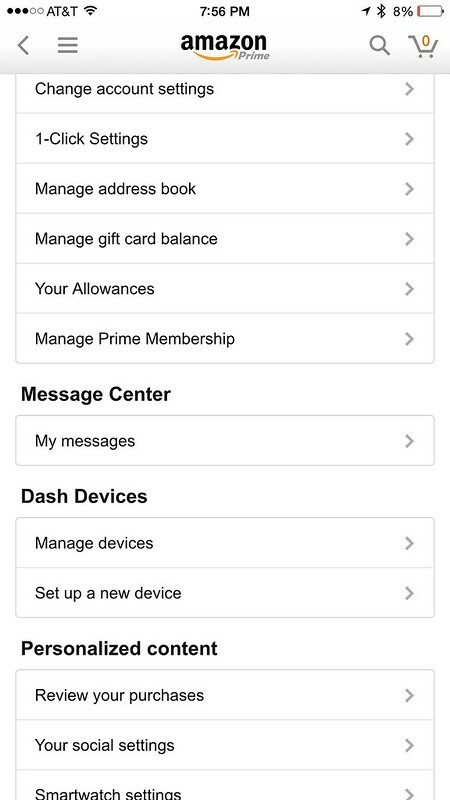 First, launch the mobile app on your Apple or Andriod phone and go to the DASH DEVICES – MANAGE DEVICES in the app options. The next step is a basic greeting and tells you what’s about to happen. The next step is the part that made me ring the BLOOOOG POOOOOOST alarm. You proceed by searching for your local WiFi and selecting it like you would from any WiFi selection screen and then key in your password for the WiFi. 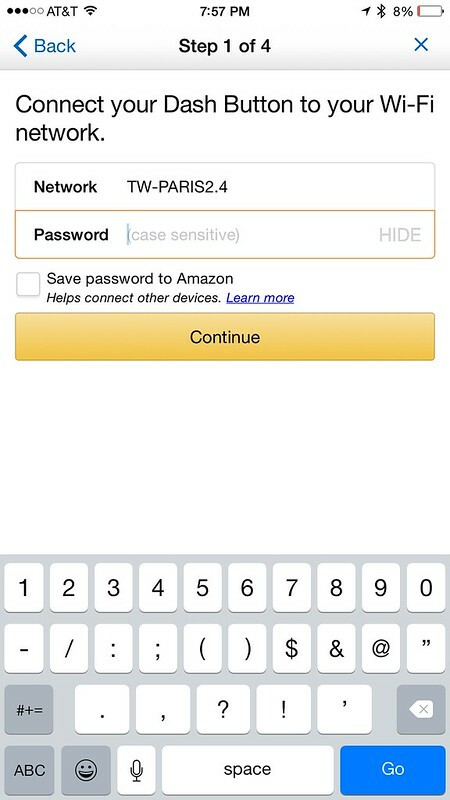 But under the password box is an option for Amazon to REMEMBER your WiFi password by saving it to Amazon.com. Not locally… TO AMAZON. In the hopes this wasn’t really as bad as I thought it was, I looked at the brief legaleese embedded in the app. 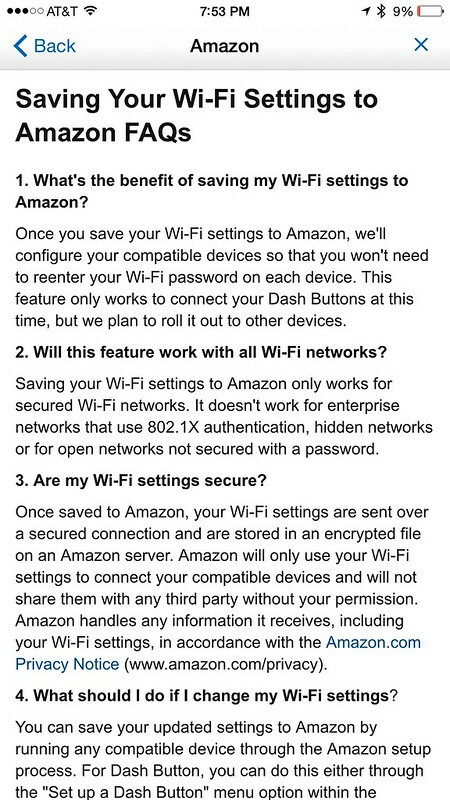 According to #1, saving your WiFi to Amazon is for Dash devices now, but they plainly state it will roll out to other devices “soon”. On #3, Amazon says they intend to save your WiFi password on their servers in an encrypted file and “won’t share with third parties without your permission”. Wait, why are we even talking about sharing my WiFi login and password with third parties at all? The next part is even better… cherry on top with whipped cream better! 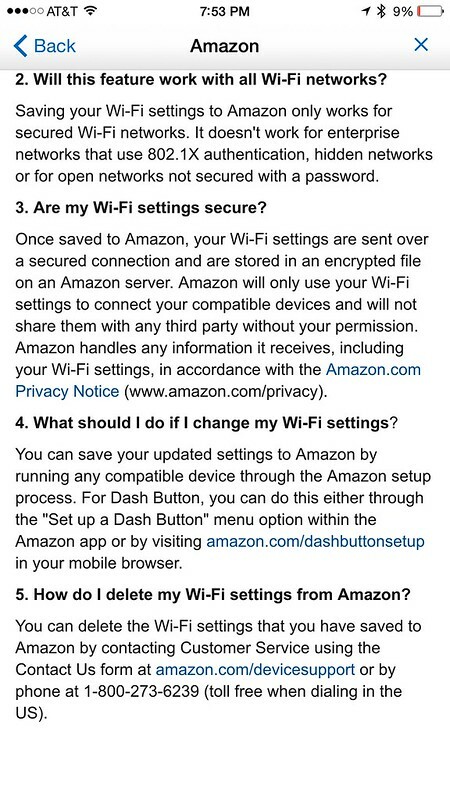 Rule #5 states in the event you change your WiFi password or want to completely delete your WiFi information from the Amazon servers, you CANNOT DO IT FROM THE APP. You must CALL IN to their toll free number and ask for this to be done. Back at the setup window, if you leave the “save the WiFi password” option unchecked and proceed with the setup, the next window will tell you to press and hold the dash button until the light on the dash button turns blue. Easy enough. Hold down the big button and the light sure does turn blue! 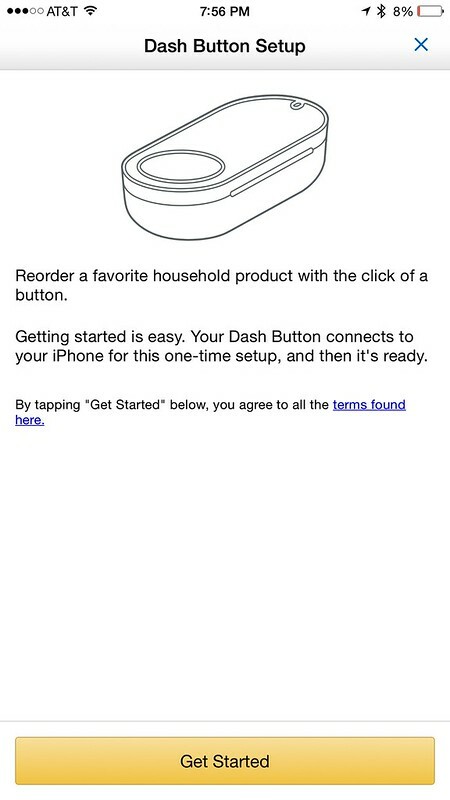 After the light on the dash button turns blue, you are instructed to place the dash button near the SPEAKER of your phone to complete the setup. Once you do that, your phone emits a combination of R2D2 sounds meeting the old modem screech sounds. After just a few seconds of that, the app will say the dash button is ready to use. You can then proceed to order the specific button-click action that happens when you click the Dash button. 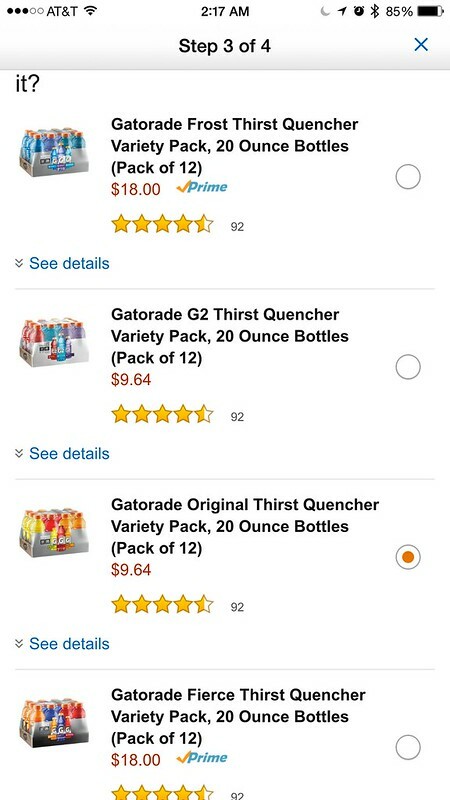 In this example, these are the options on what to order when you click the Gatorade button. Once you pick what the default button action is, you’re finally done. OK, now hold on a second. 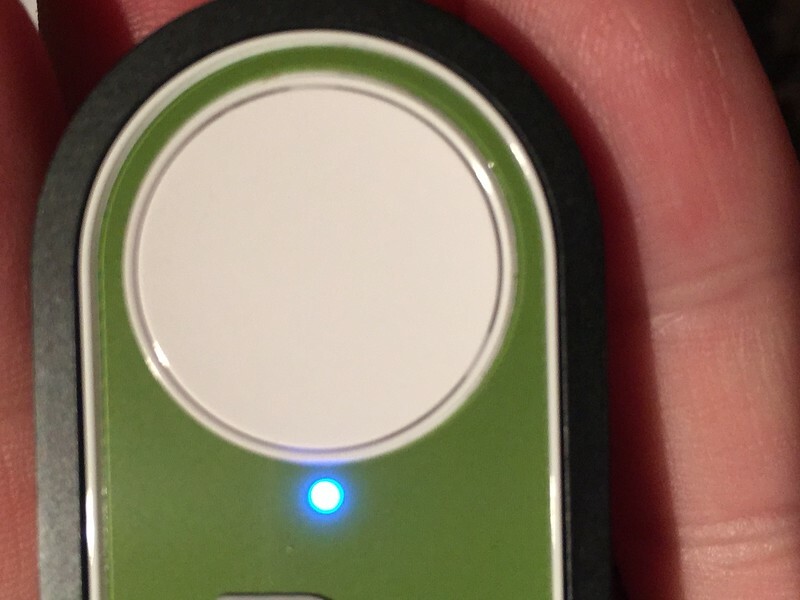 The dash button relied on AUDIO feedback from the phone to activate. The dash button had to be near the phone speaker for the setup to work. Not just on the same WiFi network or in Bluetooth range… right next to the phone’s speaker. 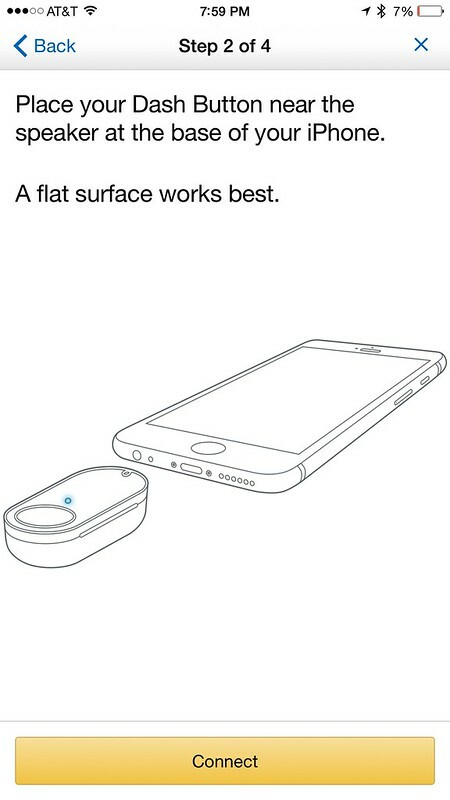 That means there’s a tiny microphone in every dash button. A microphone that is always on and connected online, regardless of whether you are ordering anything or not. Right off the top of my head, I think a better option for clicky-ordering in the pantry would be something like the Jetson’s cartoon – a app for a tablet that allows the consumer to specify a field list and what each button will order. Something like an “open” slate app for the Kindle or iPad where we choose what products fill each individual button slot. Make it as 10×10 grid, add some solid artwork, and done! 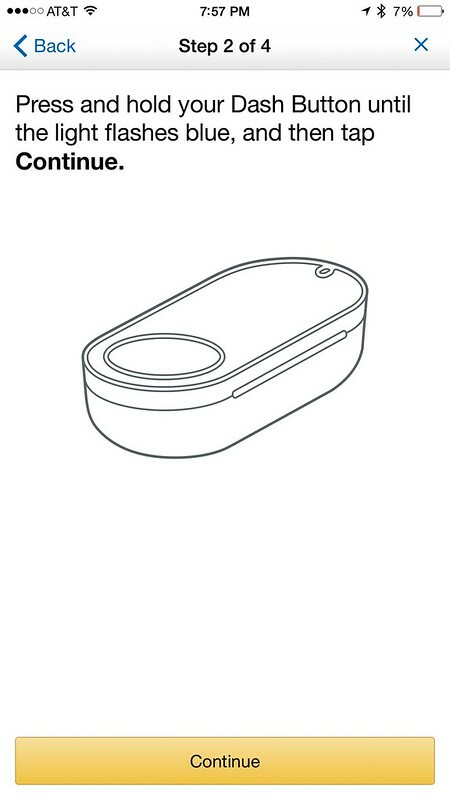 As for the Dash Buttons I just ordered, since I can’t think of a single reason for a microphone to be embedded in a device that orders Gatorade and Mac and Cheese, I think they’re going in an aluminum foil lined tupperware bin until further notice. This entry was posted in Tech! by admin (Royce). Bookmark the permalink.